My sleep window starts between 11 and 12 and ends at 6. I was having trouble staying awake until midnight, and by allowing myself to go to bed at 11 (or soon after that) I can fall asleep faster. Chantal’s sleep has improved a lot with sleep restriction therapy. She’s nearly doubled her sleep time, going from 3 to 5.5 hours of sleep a night. But now her sleep is interrupted with wake-ups. If she wants to stay asleep at night, she needs to improve her sleep efficiency. Regardless of whether you’re going through sleep restriction therapy, it’s helpful to understand this concept if you want to improve your sleep. Sleep restriction therapy is an insomnia treatment that consolidates sleep by first limiting time in bed to the actual amount of time a person is sleeping. (That chunk of time is sometimes called the sleep window.) 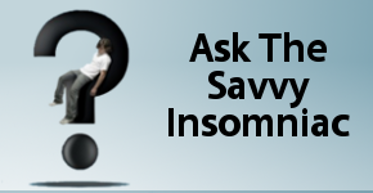 Most insomnia sufferers experience sleep deprivation in the first week or two. But studies show that fairly soon this leads to deeper, more efficient sleep. In the process you gradually enlarge your sleep window until you’re sleeping efficiently and as much as you can. Sleep efficiency refers to the percent of time you’re actually sleeping when you’re lying in bed at night. The sleep of good sleepers is highly efficient (i.e., they’re asleep 90% or 95% of the time they’re in bed). They drop off quickly and sleep soundly through the night. If you have insomnia, your sleep is probably inefficient, interrupted by patches of wakefulness. You may only be sleeping 70% or 75% of the time you’re in bed. Restricting time in bed will help you (1) fall asleep faster and (2) cut down on sleeplessness in the middle of the night. In other words, your sleep will become more efficient—and efficient sleep is typically sounder and more refreshing. Sleep Efficiency (SE) equals Total Sleep Time (TST) divided by prescribed Time in Bed (TIB) multiplied by 100. The formula looks simpler using abbreviations and symbols: SE = TST ÷ TIB X 100. A high sleep efficiency suggests it’s time to enlarge your sleep window. A low sleep efficiency (anything less than 80%) suggests a need to tighten up your sleep window until your sleep is solid again. If on most nights she goes to bed at 11 p.m. and gets up at 6 a.m. (for a total of 7 hours in bed), her sleep efficiency may be low: 5.5 ÷ 7 X 100 = 78.6%. Inefficient sleep is characterized by patches of sleeplessness. In contrast, if on most nights Chantal restricts her time in bed to 6 hours (as would occur if she delayed her bedtime until midnight and got up at 6 a.m., or set her sleep window from 11:30 p.m. to 5:30 a.m.), her sleep efficiency will probably be high: 5.5 ÷ 6 X 100 = 91.7%. She can increase her time in bed by 15 or 20 minutes the following week. Tightening up her sleep window now may enable Chantal to maintain consolidated sleep as she gradually increases her time in bed. If you’re going through sleep restriction, don’t make the mistake of enlarging your sleep window too fast too soon. At the end of each week, calculate your sleep efficiency and adjust your time in bed accordingly. Slow and steady wins this race. For those who simply want to cut down on middle-of-the-night wake-ups, try spending less time in bed. I love your blogs; they are so informative and actually give me some sort of optimism to cling to. I have been seeing a sleep therapist for a couple weeks who gave me some guidelines for sleep restriction. She is having me stay up until 11 and wake up somewhere between 6-7. I thought THIS was hard and now I am realizing this is nothing! No wonder it is not working! Last night, after desperately trying to stay awake, I managed to crawl in to bed just after 11. After all that work, I only managed to MAYBE get 1 hour of fragmented sleep throughout the entire night. It is very disheartening, I must say. I just thought S.R. was just another failed treatment for me and my hideous chronic insomnia. But now, I am assuming I should probably get a little more strict with this sleep restriction thing? I’m glad you’re finding these blogs helpful, and thank you for letting me know that! If there’s reason to believe that you’ll benefit from undergoing SRT, it’s important to start out with the right sleep window. 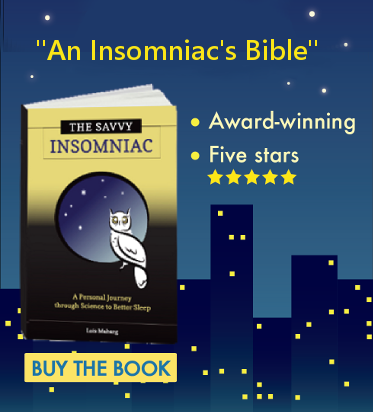 To do that, the standard recommendation is to keep a sleep diary for a week before beginning treatment to find out how much, on average, you’re actually sleeping. If you discover you’re sleeping 6 hours a night, then you begin by restricting your time in bed to 6 hours a night. It has to be the same 6 hours every night: 11 p.m. to 5 a.m., or midnight to 6 a.m., whatever your preference. Since you didn’t mention keeping a sleep diary, I’m wondering how the therapist established the initial sleep window she prescribed. The dose of restriction she set for you was not very strong. Most people I know have begun SRT with 5- or 6-hour sleep windows (and a few, even less). Setting too large a sleep window is likely to result in lots of wakefulness in bed—which is just what you’re trying to avoid! Tightening up your sleep window should give you better results. And if you haven’t yet kept the sleep diary to ascertain just how much sleep you’re getting at night, I’d suggest starting with that and then moving on from there. The one place I know most sleep experts would disagree with your therapist’s instructions is the variable rise time she set—”somewhere between 6-7.” If there’s one thing that needs to remain fixed, it’s your wake-up time. It can be 6 a.m. or it can be 7 a.m.—but it cannot vary from one day to the next. By maintaining a consistent rise time, you’re helping to keep your circadian rhythms in sync. You also enable the build-up of sleep pressure that will put you to sleep and keep you sleeping through the night. I’ll be blogging about the issues you raised on Monday—so check back in next week. Best of luck in moving forward.